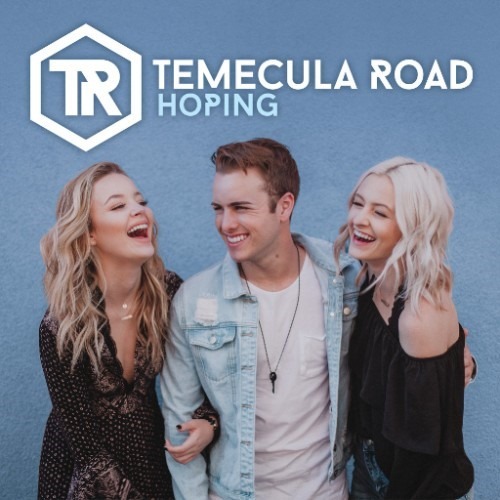 Fans of country trio Temecula Road got an early listen to their new single “Hoping” which premiered on Radio Disney Country Spotlight this week. Available now HERE, “Hoping” (written by Jimmy Robbins, Heather Morgan, Mike Daly) is a fun and light summer romp featuring Temecula Road’s trademark harmonies. The song is the perfect follow-up to the trio’s debut song, “What If I Kissed You,” which has already been streamed over 1 million times. The band, having already performed at this year’s C2C Country Music Festival in London and made their debut at the iconic Stagecoach Music Festival sharing the bill with fellow country artists and musical influences, Maren Morris, Dan + Shay, Brett Eldredge, Thomas Rhett and Kenny Chesney to name a few, is heading to Nashville to perform at the CMA Music Festival where they will kick-off their run with a performance on the Radio Disney Country Stage Friday, June 9th. Following the festivities, Temecula Road will join the Nashville Sounds for a pre-game performance on June 13th near the Guitar Scoreboard Plaza at First Tennessee Park. Full performance and signing schedule below. Called out by The Huffington Post as one of the top country artists to watch in ‪2016 and named after the town they grew up in, Temecula Road‪ (comprised of sisters Emma and Maddie Salute and longtime friend Dawson Anderson) spent last year opening for Martina McBride, Josh Turner, Joe Nichols, Sara Evans, Eli Young Band and Love And Theft and joined Jessie James Decker on a nationwide, sold-out tour. Their covers have earned praise from Carrie Underwood, Brett Eldredge, Dan + Shay, Cam and RaeLynn. The group was recently named one of Radio Disney’s NEXT BIG THING artists and was nominated in the “The Freshest! – Radio Disney Country Best New Artist” category at this year’s Radio Disney Music Awards, putting them in great company alongside Lauren Alaina, Maren Morris, Old Dominion and RaeLynn in the category.